Things are busy so I just wanted to share these few pics quick with you today. 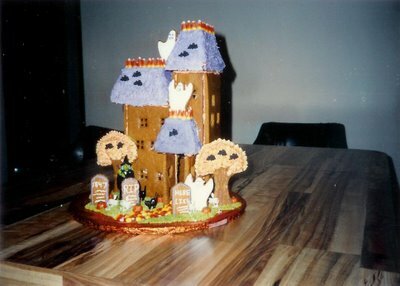 I dug out the pictures of my Halloween Gingerbread House and scanned them! I forgot how cute they were - even though I"m not a Halloween fan! And I just had to share that last picture with Holly! That was the year she was in Kindergarten and she is now a Junior in college and 20! Oh my gosh, how time flies! 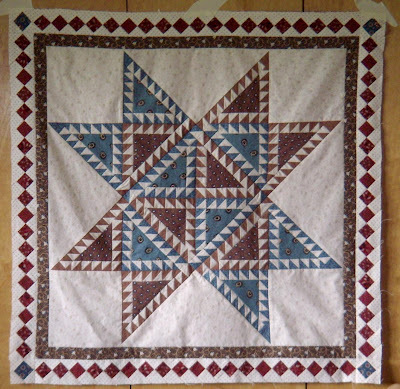 neat looking quilt. I love those star points! Dawn, what a great pic of the halloween house and I love your quilt for camp. when and where are you going??? Have a great time at your qiultcamp. I sure did on mine a few weeks ago. The quilt you are going to do is beautiful. I love stars. The one I started on my quiltcamp is not yet finished. In fact I have not done anything on it since my camp. Hey, good for you for taking photos before the digital era! I have my hospital photo and then my 1st grade photo - ummm, what happened? A few sisters have a few photos here and there, but nothing like what us Digital crazy Momma's take today! Those are excellent photos and what fun memories! 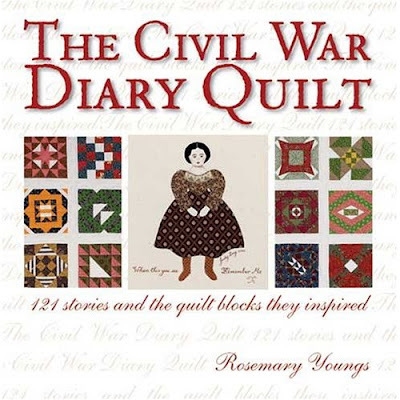 I am looking forward to seeing your version of the quilt you are going to be doing. 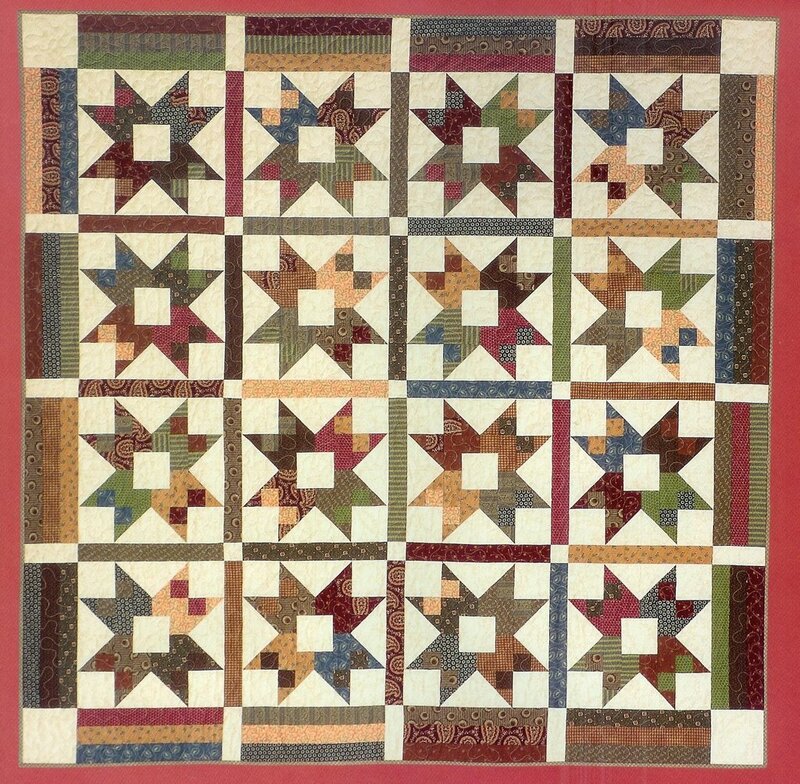 Love the quilt design, can't wait to see yours. Have fun at your quilt camp. Can't wait to see your project -- it looks like a fun pattern. That is one amazing Gingerbread house! I never made anything so creative as that! 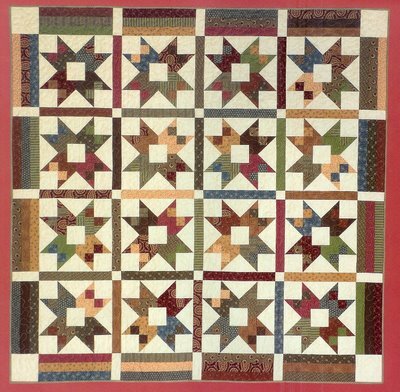 Be sure to have the best time at quilt camp, it will be a blast! I wonder who had the most fun making those houses? The kids? Or you...just knowing how much fun the kids were going to have?! Those must be just terrific memories! 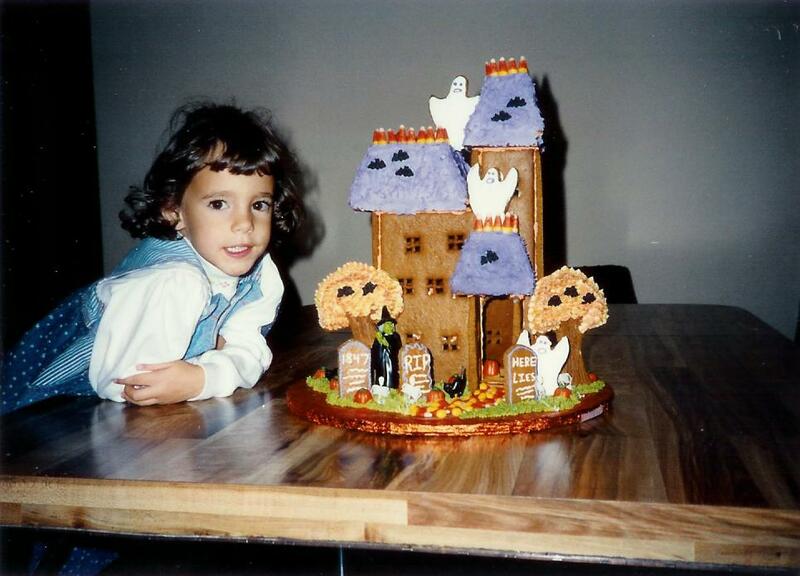 Wouldn't it be a hoot to make a little Halloween house and send it to each of your college kids...with a picture of the *good ole days* enclosed! You're going to have such a fun time getting together once again! Can't wait to hear about it. 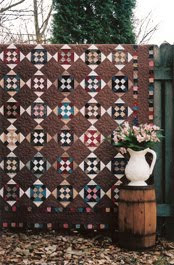 The quilt pictured is pretty sweet! Love the fabs! neat Halloween house, you know how I love Halloween! And the quilt you are going to work on at camp is soooo neat. I can't wait to go, seems like forever away. I got my plane ticket for Florida. Nothing like planning the next event before doing this one. All the quilts and the cake look wonderful!! Your houses are wonderful Dawn! 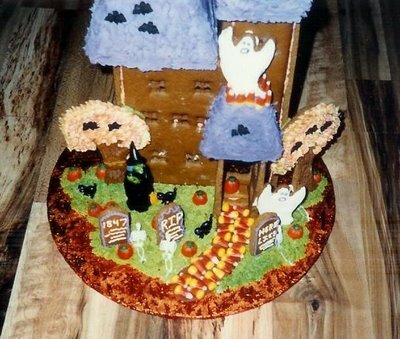 I've never heard of anyone else making Halloween gingerbread houses - what a marvelous idea. Much more fun that Christmas ones I think. What a cute picture of Holly! Love the gingerbread theme you've got going on in here! OOh, gotta make the halloween gingerbread house. How wonderful! Want to dig a hole or bid on ebay?